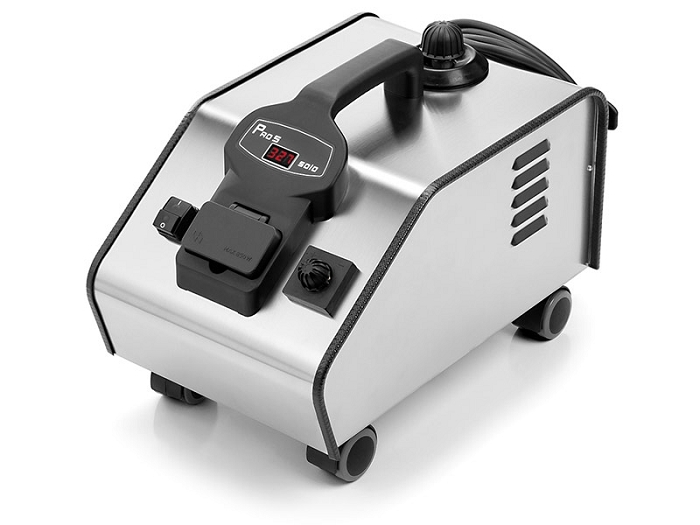 For light/heavy applications of steam our stainless steel steamer is a great value offering a digital screen and high end tip temperature for large bed bug jobs. For those looking for a high quality stainless steel casing a boiler with a high tip temperature the Light/Heavy duty steamer is the answer. It's unique digital screen allows the user to see the temperature and the pressure of the steam ensuring lethal levels are achieved during bed bug treatments. 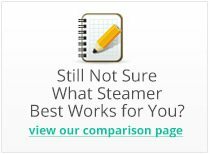 The Italian made Light/Heavy Duty Steamer is designed steaming 10-20 hours per week and offers a lifetime warranty on the boiler and heating element making it a great buy for professionals. The 87 psi output is one of the highest in the market and its portable rugged stainless steel metal casing is relatively lightweight at just 15 lbs. empty and 19 lbs. full of water. Adjusting the pressure for different surfaces including mattresses, sofas, chairs and baseboards is easy with the adjustable pressure knob for better control. Another feature to consider is the tip temperature between 240º - 270º F making bed bug treatments extremely effective. 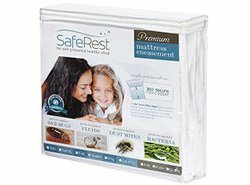 Remember bed bugs can be killed on contact at 180º+ F.
• Digital Microprocessor adds life expectancy to components while maintaining the most precise temperature and pressure on the market. Q: Can we get this model remanufactured? Unfortunately, we do not offer remanufactured or refurbished products at this time. All products that we carry are available in new and unopened condition only. Q: what are kinds of bugs will the dry vapor steamer destroy and what are some other uses for the steamer? A high-pressure steamer such as the PRO5 can kill bed bugs, as well as some species of ants, fleas, roaches, and termites. 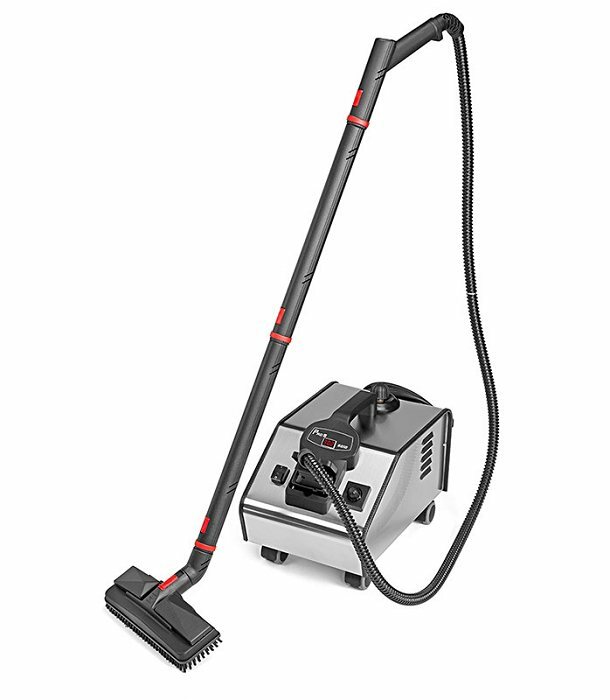 Steamers are also great for cleaning tiles, carpet, mattresses, upholstered furniture, barbecue grills, and more. Q: Is the pro-5, a continuous fill machine. Or would it have to be turned off before it could be refilled. The PRO5 is not continuous fill, so you would need to turn it off and let it cool down before refilling it. For continuous fill, you would need to step up to the PRO6 Duo. The manufacturer recently upgraded the internals of the PRO5, so it now has a higher PSI (among other improvements). The other websites may not have updated their listings to reflect the changes just yet. Very well made and easy to use. It came packaged well and each part well illustrated the italian design and quality. Reviewed by: Tom G. from Chicago. Had this for a few weeks now. Very nice unit, very well made. I steam for about an hour at a time. I always refill the boiler before the next use. High pressure and high temp 73 psi at about 300. Ive seen 310 but it drops down to about 290. Nice dry steam. Any steamer is limited to the power you put into it. This unit works on 120 volts which is all most people have so you have to be patient and let I heat (10 min) then use it for 5 to ten min then let it get really hot again (a few minutes). I like to steam at the highest pressure for max penetration through a thick carpet and the pad. I am very pleased with the unit and I will use for many other projects once these bugs are gone! Reviewed by: Greg sweeney from New Jersey. I am really pleased with how fast I received my steamer . 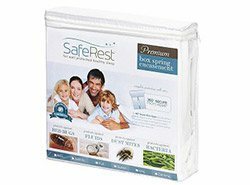 I received my steamer well within the time that they stated. 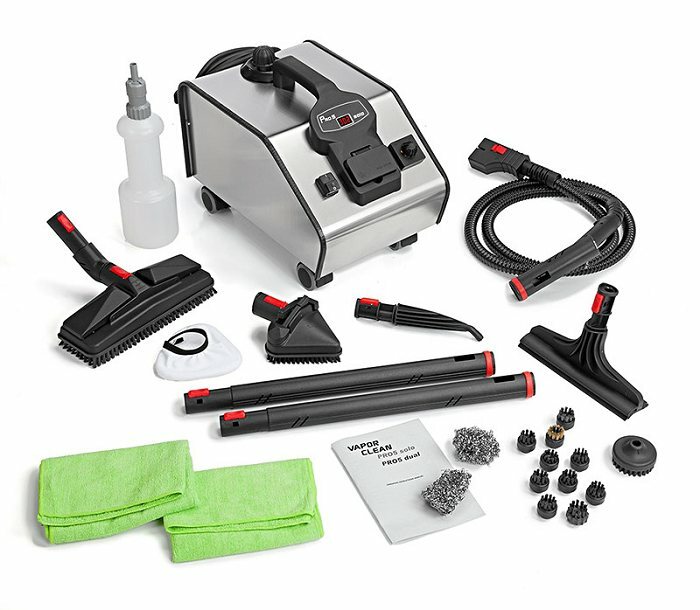 The PRO5 Steamer has surpassed all my expectations on it's performance. I have 3 recovery homes for addictions here in Las Vegas and even with having new client wash all their belongings those pesky little bugs still find there way into the house. Reviewed by: Jacque Burress from Las Vegas, NV. Great little machine! Well made and works good, great steamer for the money. Reviewed by: Wesley from Fort Worth, Texas. The pro 5 heated up to 290 - 300 degrees and 165 psi very quickly. The only problem I had with it was that it would not hold 165 psi for overy long. It dropped to 140 - 145 rapidly and held there for a while. Reviewed by: Luverne Shepard from Marshalltown, ,Iowa.